This resource aims to give the origins of Christchurch street and place names. From 1853-1876, the major local government in this area was the Canterbury Provincial Council. Road boards, some borough councils and the Christchurch City Council were established as well. In 1876, central government abolished all provincial councils and large county councils were established. As the population grew, road boards were replaced in many suburbs by borough councils. 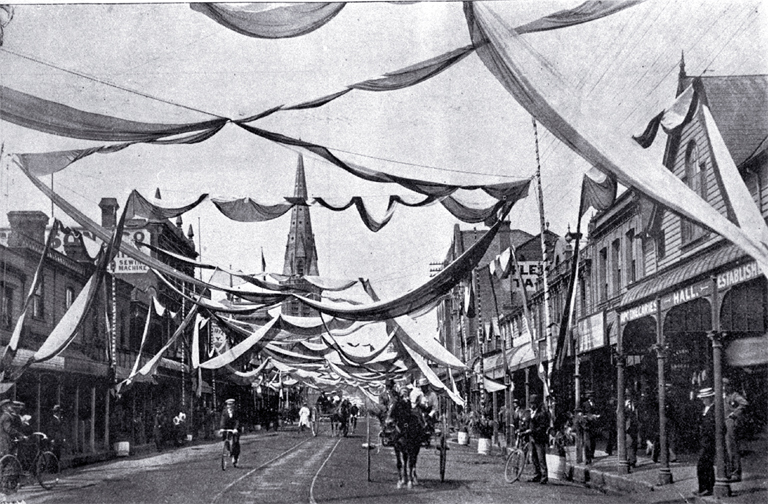 Several boroughs were absorbed into Christchurch City in 1903. The great amalgamation of local authorities into the Christchurch City Council in 1989 was directed by central government. The same street name appeared more than once in greater Christchurch because there were so many local bodies. With amalgamation, many streets were re-named. Former street names are included in this resource. Note that definitive answers as to the origin of a street name can sometimes be impossible, as the reason for a naming has not always been recorded. Researched by Margaret Harper and Christchurch City Libraries staff, this information has come from published works, manuscripts, interviews and archives. All sources are acknowledged in the documents. Use the Google search below to find references in the PDFs. Note: the PDF will open at the beginning of the document - press Ctrl+F to search again within the PDF to find the page the reference is on.